At the end of the day Eko and I usually end up on the couch together. He snores and sprawls over two-thirds of the couch and I use the remaining third to read. 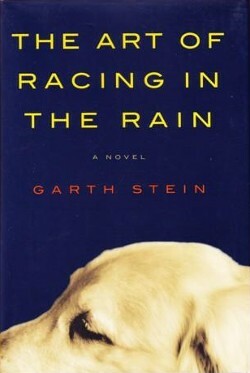 A few weeks ago, while reading The Art of Racing in the Rain, I realized how many great stories feature great dogs. From childhood classics to Greek classics, dogs have played a memorable role in all types of different works. It was tough to pare down the list but in no particular order here are my ten favorite dogs from literature. The Odyssey is one of the world’s most famous and oft retold epics but many people forget about Argos, Odysseus’s dog. Away for twenty years, Odysseus finally returns home, disguised so that he may retake his rightful place from the usurpers. The disguise fools everyone, except for Argos, who faithfully waited for Odysseus’s return. My odysseys rarely take me further than the grocery store, but I love how Eko – and all dogs – have the loyal spirit of Argos while we are away. The Hound of the Baskervilles was the first Sherlock Holmes story I read and the mystery of the evil hound kept me engrossed. In literature, dogs aren’t always the good guys, but that’s okay. In this story in took the world’s greatest detective to catch the hound. Pretty cool if you ask me. As someone with freckles, spots are obviously near and dear to my heart. You can imagine my horror when I learned of Cruella De Vil, a woman willing to kill to get spots for her coat! I remember watching the movie adaptation of the book, holding onto my family’s Dalmatian for dear life! Us spotted creatures have to stick together. White Fang is another successful story told from a wolf/dog’s point of view. Every kid dreams of running wild and free and running through the woods with White Fang was an exhilarating read that I will never forget. Tintin gets all the credit in the title, but he couldn’t have done it without his faithful terrier Snowy. Loyal, brave and always humorous, Snowy was hands down my favorite character. Like most dogs, Snowy would always notice the things that people seem to miss. Can’t begin to count the number of times I have found something interesting only because it caught Eko’s attention first. Clifford is such a popular pup that he was the centerpiece decoration at the White House one Christmas (see above). But that is not Clifford’s highest honor – I think that would be having the red SUV Eko and I drove around the country in named after him. Simplicity is universal and the simple message of a big dog with an even bigger heart resonates with everyone. Hagrid is one of my favorite characters from the Harry Potter series in part because of his love for animals. Fang was a perfect match for Hagrid in both looks and disposition, and I was happy Hagrid had someone with some sense to look after him. The tale of Dorothy and her cohort might have ended dramatically different if not for the heroics of Toto. While the group cowered in front of the Wizard, it was Toto who revealed that the Wizard was not so great and powerful after all. Another classic case of a dog’s intuition saving the day. I guess the moral of the story is that if you are going on an adventure, you probably want to bring your dog with you! Now, who am I missing? Who is one of your favorite dogs from literature that I don’t have on the list? I have a feeling I am going to be saying, “oh, I should have included him/her!” a whole lot when I read these comments. Hey Will and Eko. Love reading about your adventures. We live in South Africa, and one of our favourite stories is jock of the bush veld! And I think that jock was really a ridgeback! Another one you forgot was scooby doo, who could also pass as a ridgeback! Thanks for dropping us a line from Eko’s ancestral homeland. I thought Scooby was a great dane, but Eko certainly knows how to act the part of a big goof.